I am convinced this place serves the best tandoori chicken in the whole of Singapore. It’s well marinated, has the slightest hint of yoghurt, moist and appropriately charred in all the right places. 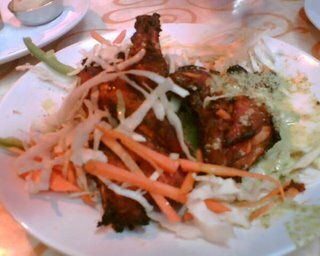 I have also tried the Haryali chicken that is marinated in spinach and mint, and cooked tandoor style – it looks like green chicken but tastes just as heavenly. As is its accompanying salad, a simple mix of fresh sliced onions with a mint yoghurt dressing, the paneer (cottage cheese) cooked masala style, butter chicken, saag paneer (cottage cheese in spinach), keema naan (bread with minced lamb)… divine. 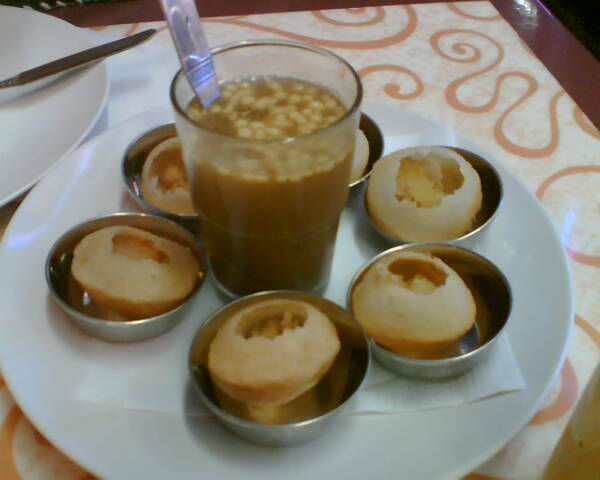 One dish I was not so keen on was the pani poori, a hollow crunchy shell that is filled with other crunchy bits and dressed in a soury assam juice. I was so looking forward to reliving the amazing flavours of the pani poori that I tried in Mumbai, but when I took a bite into the Khansama version, I felt seriously let down. It does look pretty though, unlike those that were handed to me, one at a time by the street side vendor in India. Pity.